Matt joined Atkinson Vinden in November 2017 and was admitted as a solicitor on the 21st of September 2018. Throughout his time at Atkinson Vinden, Matt has gained broad experience within estate planning, commercial law and property law. This allows him to work with his clients with a well-rounded understanding of their current circumstances. Currently, Matt’s main practice is handling property transactions, commercial law, leasing, sale and purchase of businesses as well as providing general advice relating to these areas of practice. 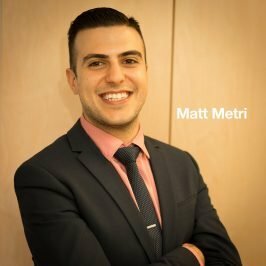 Matt is an extremely motivated individual and focuses on providing excellent service to our clients. Matt is a passionate rugby league supporter.